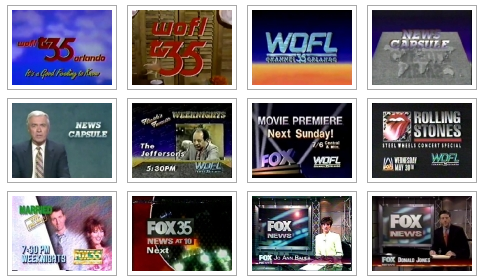 Information and history about WOFL-Channel 35, the Fox affiliate for Orlando. Etc: Has been a Fox affilliate since network started but wasn’t owned by Fox until summer 2002. … Began news operation in 1998 with a 30-minute show at 10 p.m. … Noted for initially providing “hip” white Ford Mustangs for its news crews. … Expanded to a one-hour newscast in fall 1999. .. Added a two-hour morning newscast, “Good Day Orlando,” in September 2000. In Sept. 2002, Fox 35 added a 6 a.m. newscast, dumped the “Good Day Orlando” label for the existing 7-9 a.m. show and started calling all its newscasts “Fox 35 News.” … Before it lauched its morning newscasts, WOFL experimented with a program called Newsic — which involved airing music videos on part of the screen with news and other information along the side of the picture. … Launched an hour of news at 5 p.m. called Fox at 5 in March 2006. In the fall of 2006, it expanded Fox 5 to the weekends — Central Florida’s first early-evening hourlong newscast on the weekends. … Part of a Fox-owned triopoly in Central Florida with WRBW-Channel 65 (My Network TV) in Orlando and WOGX-Channel 51 (Fox) in Ocala. All three stations are run out of Fox 35’s Lake Mary studios. … WOFL was the first to start digital broadcasting in the market in February 2000 on WOFL-DT Channel 22. Station History: This is the second go-round for Channel 35 in Orlando. On March 31, 1974, Channel 35 signed on and became the market’s first independent station. Known as WSWB, the station was based in east Orlando building that now houses PBS station WMFE. WSWB produced children’s programing (“Uncle Hubie’s Penthouse Barnyard”), aired re-runs of shows such as Batman and Lost In Space and produced local news shows. The 1970s recession hit WSWB hard. Station owner Sun World Broadcasting ran into money troubles and was forced to file for bankruptcy in January 1976 — which eventually forced Channel 35 off the air. Among those who tried to buy the station were Ted Turner and Christian broadcast Pat Robertson. After a great deal of legal squabbling over WSWB’s assets, the Omega Group ended up with ownership. 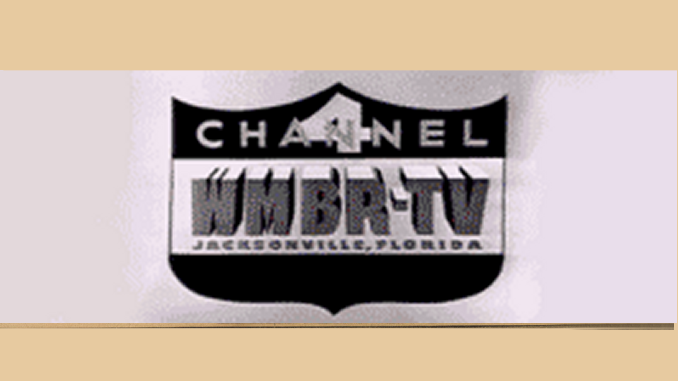 It changed the call letters to WOFL (for Orlando, FL) and returned Channel 35 to the air on Oct. 15, 1979. Meredith Corp. then purchased WOFL in 1982 and owned it until 2002, when it swapped stations with Fox Broadcasting — gaining the Fox-owned station in Portland, Ore, in exchange for Channel 35. Fox already owned then-UPN affiliated WRBW-Channel 65 in Orlando. I was listening to Fox 35 News Thursday 24 March. It gave a story about police using Skype to do video conferencing with a judge when suspects refuse to blow into the field breathalyzer. I searched the web but could not find it. Could you share it with me. It was interesting as to how it takes only about 30 minutes to get a warrant for blood test as opposed to 4 hours. Thank you.